At Baileys Law LLP we are well aware that the West Country despite its beauty in certain parts is an economically deprived area. A large number of its residents are dependent upon state benefits (such as income support, council tax benefit and housing benefit) or tax credits to survive on a day to day basis. The government has indicated its intention to continue to significantly reduce this type of public expenditure. No doubt investigations will be more thorough and more in number. Therefore more people are likely to be subject to prosecution for benefit fraud. The majority of investigations into fraudulent claims for state benefits or tax credits are not made by the Police. These investigations are normally conducted by the DWP or Cornwall Council. Normally you will be invited to attend at either your local DWP or Council office for a formal interview. Please be aware that this is a very serious interview and what you say at this interview could result in you being prosecuted for fraud. We are very well aware how stressful this whole process will be. We are available and willing to attend with you at this interview and assist you in how to deal with the interview and the overall investigation and hopefully make it as painless as possible. 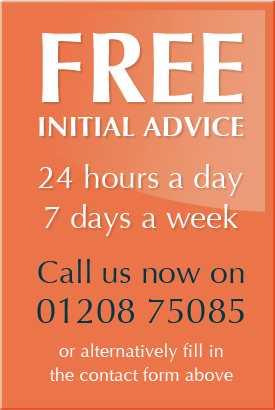 If you, a member of your family or a friend is under investigation for any form of benefit or tax credit fraud then contact us immediately for FREE initial advice by calling 01208 75085 24 hours a day 7 days a week or fill out the contact form on the right of this page.